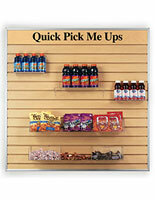 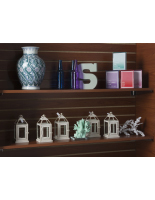 Mount this cherry finish large slotted wall board panel in your retail shop for a sophisticated store fixture display. 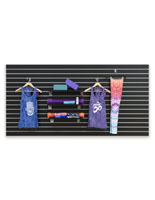 It has a grand size of 4’ by 8’ to showcase a variety of products along the slots. 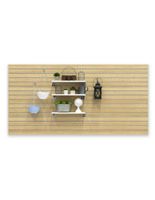 Use this large slotted wall board panel to display kitchenware on matching shelves or hang apparel on any American standard accessories. 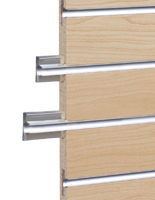 To ensure your mounted products remain secure, included are 15 removable aluminum inserts for the slatwall channels. 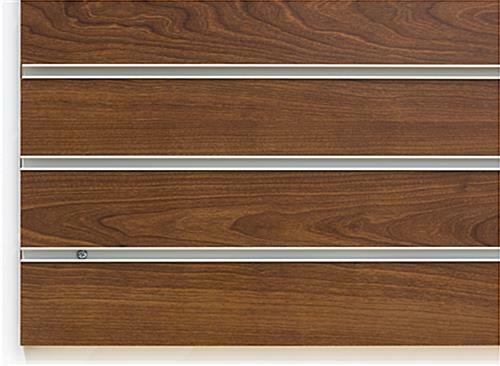 This store fixture was built with pre-drilled holes for a seamless assembly and the 3” on center slots allows for a variety of accessories. 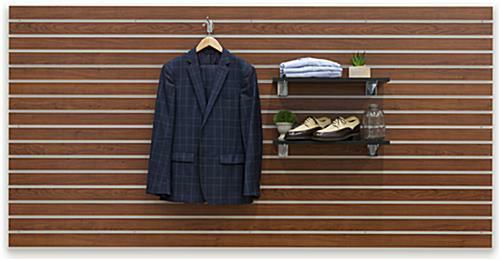 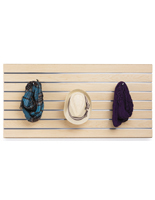 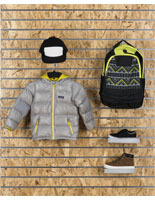 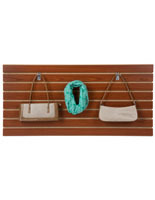 Create more than a store layout, design a shopping experience with this slotted wall board panel. 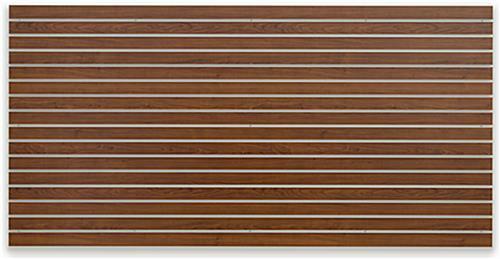 96.0" x 48.0" x 1.0"